Home Uncategorized Consider becoming a Volunteer? 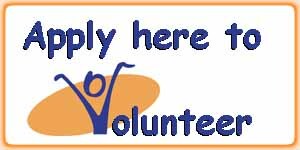 To become a volunteer you can click the image and follow the prompts to complete our simple online application form. Then give us a call on 02 6021 0990 to book an interview with our Volunteer Referral Officer. They will outline the current volunteering options available in your community, matching you to a position that is right for you. If you have any other enquiries call us, email us, or drop in for a quick visit. The Albury Wodonga Volunteer Resource Bureau is located at 596 Hume Street Albury NSW 2640 (between Reserve and Townsend Street) and is open Monday to Friday, 9.00am to 5.00pm.